All risks lead to change. In the right hands risks are tools for growth and innovation. In the wrong hands they can be the seeds of rapid ruin. Fortunately, taking the right kind of risk is a skill anyone can learn. 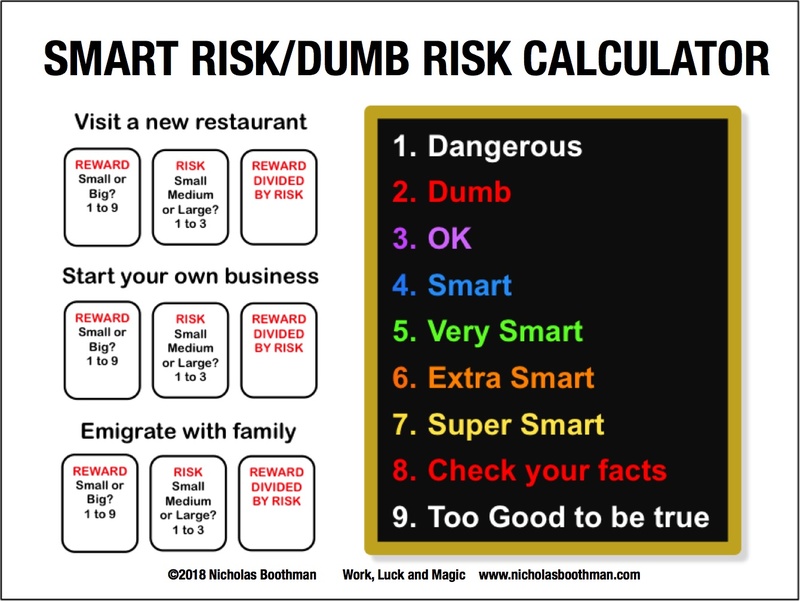 Here’s a simple Risk/Reward Calculator that really works. Practice with the 3 questions then feed your own risk/reward questions into it.